the following are the pics I created after a few days test session around anisotropy and specifically anisotropic reflections. 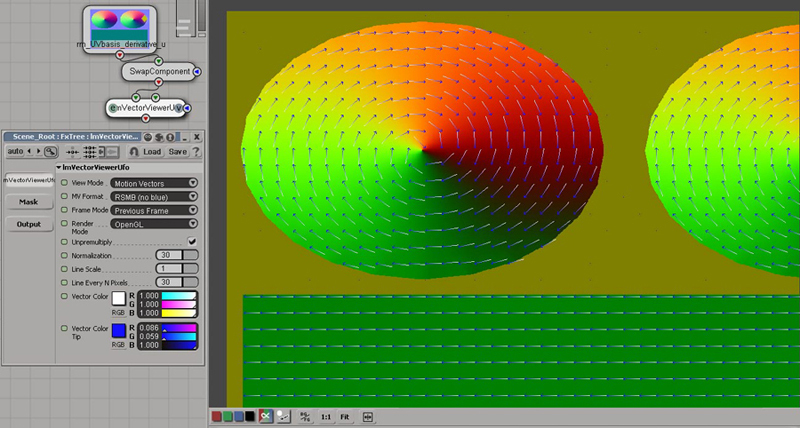 I was looking for a way to synchronize the derivative vectors orientation/patterns and the texture maps used for bump or diffuse to help in the final shading of these kind of materials. 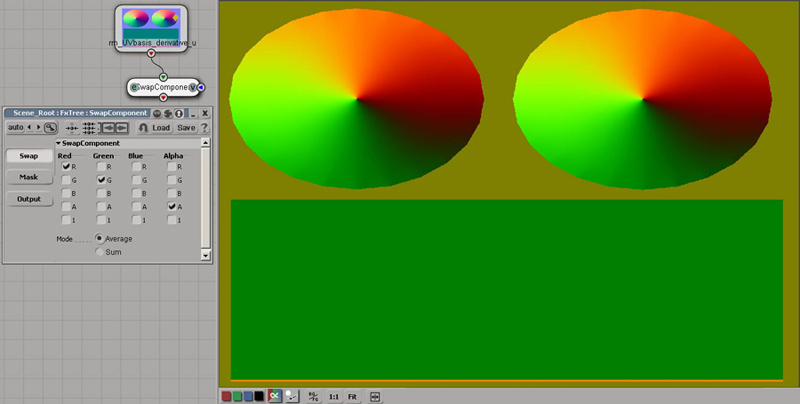 I came up with this idea to use the derivative vectors to drive a 2D directional blur. 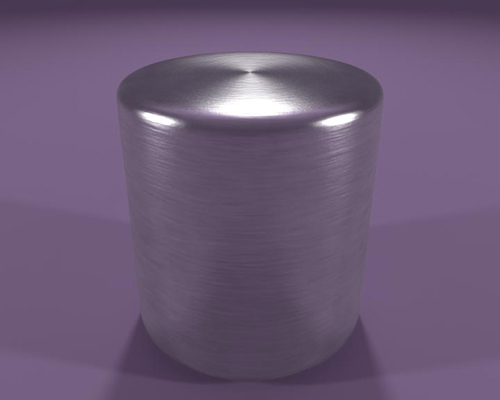 Shading is done in XSI/MentalRay using MR physics lib (dgs or mib_glossy_reflection). All these tests have been done with version 5 of XSI. 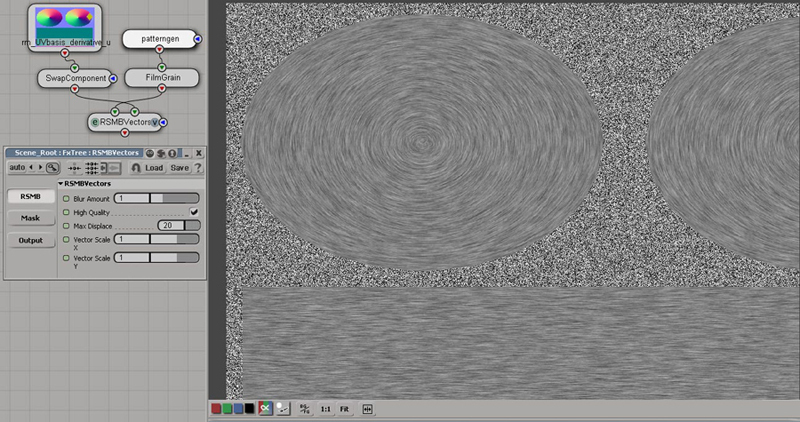 Directional Blur is done with ReVisionFX’s RSMBVector inside XSI FXtree. 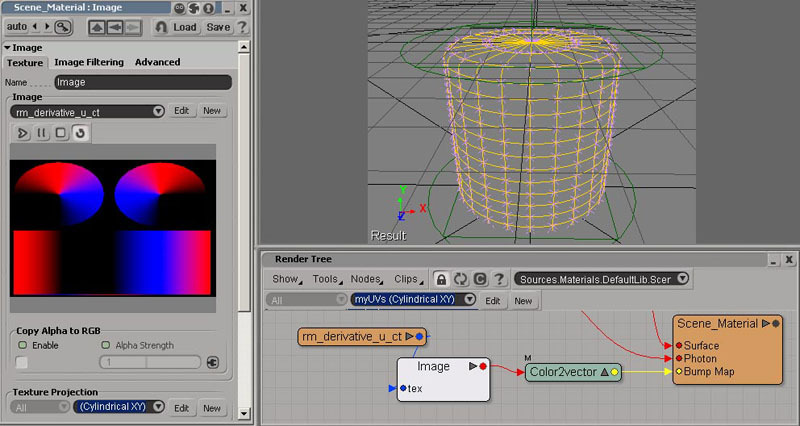 rendermapping U derivative vector : this is done using a special VectorState shader and applied as the color of the object . this is rendermapped as a .ct texture to keep negative informations intact. 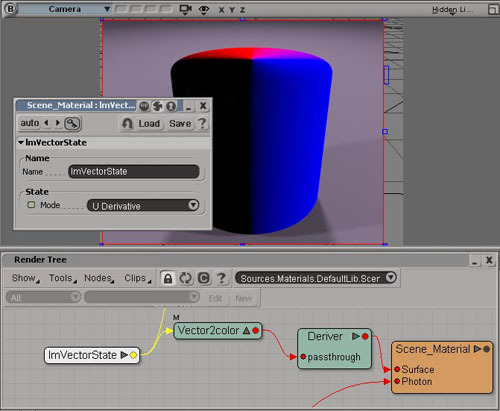 transforming the derivative in the UVbasis : the rendermapped derivative is injected in the bump map slot of the material. 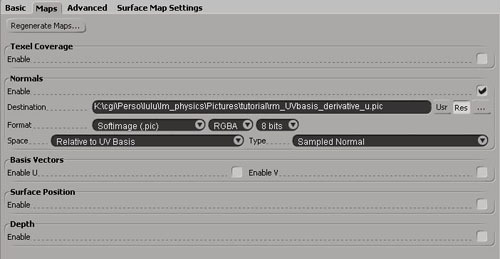 than everything is rendermapped again using rendermap option to render normals in the UVbasis. 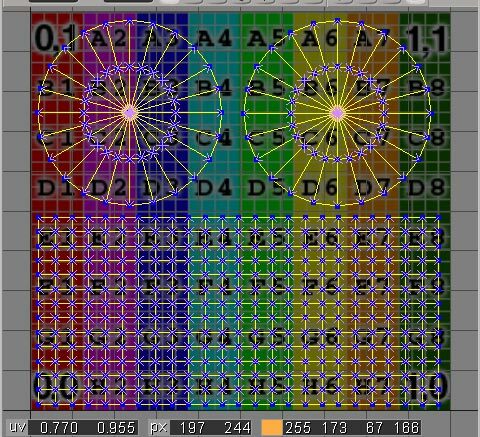 if you get rid of the blue component it looks like a typical RSMB vectormap input.